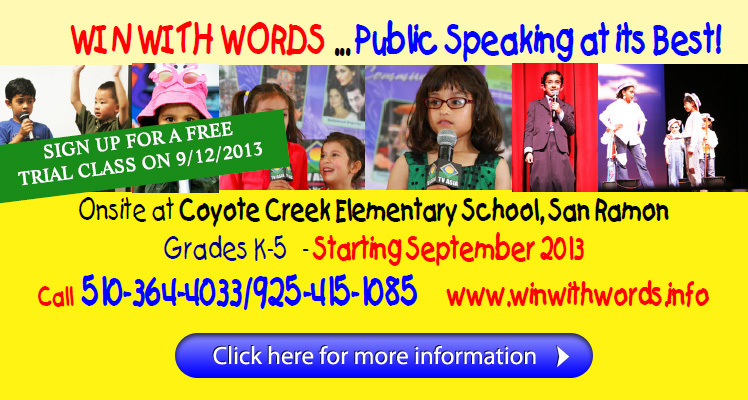 Win With Words TV Show - For Kids & By Kids has also produced TV show which have been aired on IND TV USA. The show is a TV Talk Show for kids & by kids, promoting the importance of public speaki ng, communication and confidence in children, whilst at the same time publicizing the Win With Words Public Speaking Competition at a national level. Stay tuned for tons of wonderful events for kids and families! We will be launching the series back again to stream on youtube and social media. Miss. Rennu is on air weekly on Radio Zindagi speaking about the importance of confidence building and public speaking. Copyright © 2013 Win With Words, Inc. All rights reserved.